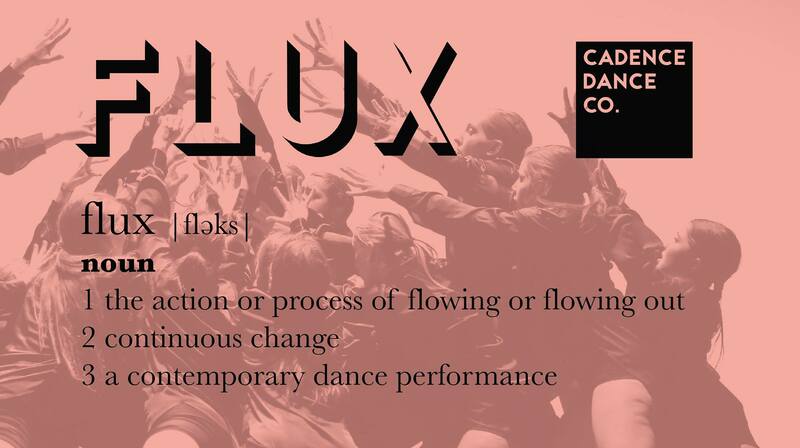 The poster for Cadence Dance Company’s winter show, FLUX, lists three definitions of its title. The third definition is obviously not the dictionary one, but nevertheless it fits with the other two. Contemporary dance is a study in flow, in change and experimentation. The title not only fits perfectly, it makes me excited to see what Cadence has in store. The first time I saw Cadence Dance Company was at Michigan’s Best Dance Crew, where they placed third. At a competition mostly dominated by hip-hop crews, Cadence’s performance was an intriguing change of pace. Now, Cadence will put on a full-length performance showcasing their own choreography and style. A contemporary, lyrical and modern company, Cadence “presents a balance between the rigors of studies and freedom of movement,” according to their website. 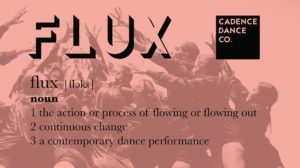 FLUX by Cadence Dance Company will also feature guest performances by other student groups, including hip-hop crews FunKtion and EnCore, tap dance troupe RhythM Tap Ensemble and a cappella ensemble The Friars. The show is on Saturday, January 20 at 7 PM at the Power Center. Tickets are $7 for students and $10 for adults at the door, or free with a Passport to the Arts. All reality shows have an opening number, and Michigan’s Best Dance Crew was no different, kicking off with the emcees lip-syncing to The Cheetah Girls. That’s when I knew it was going to be good. Dance 2XS (pronounced “To Success”) were a great start to the competition. The hip-hop crew was poised and energetic. They weren’t as flashy as some of the groups that followed, nor did they break out a lot of big tricks, but the eventual third-place winners still made an impact. They didn’t stand out as much as some of the other groups, but they had no real weaknesses either and set the tone for the rest of the night. Michigan Izzat fuses hip-hop with the traditional Indian styles of Bhangra and Bollywood. I had no idea what to expect, but I ended up loving them. You could tell from their performance that they genuinely enjoyed every moment up on that stage, and I thought the way they combined the styles worked really well. They didn’t place, making them my biggest snub of the night, but that fact truly speaks to the level of all the crews that performed. Impact Dance brought it with a sassy jazz medley. I couldn’t take my eyes off one particular girl. She was front and center through most of the number, and her flawless technique, poise, and personality really carried the piece. 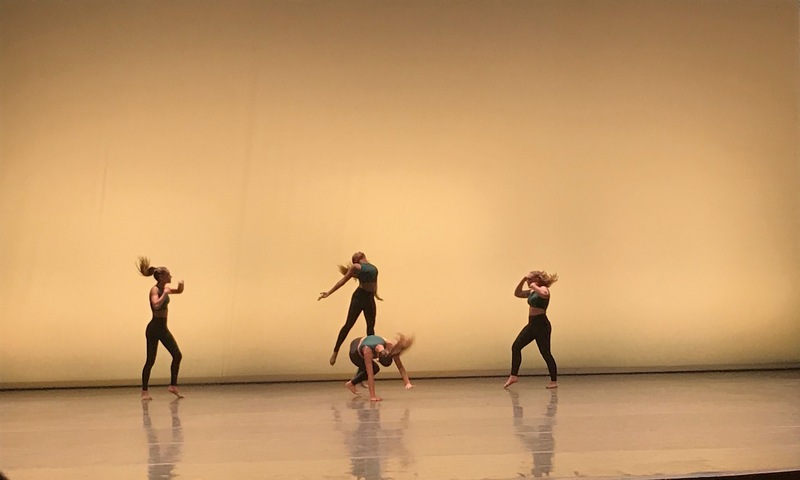 One of the hardest parts of jazz is getting turns and leaps in sync, and Impact struggled with that at times, though their performance quality was good enough that it was quickly forgiven. EnCore is one of the more popular crews on campus, and here they showed why, taking home second place from the judges as well as the People’s Choice Award. From the moment they walked out onstage in personalized black jackets, you could tell they were a force to be reckoned with. EnCore stood out because of their polish, difficult moves, and technique, and their number left the audience cheering. FunKtion hip-hop crew blew me away with their innovative choreography. Their music was a medley of hip-hop, R&B, house, and even EDM songs. They incorporated traditional hip-hop moves as well as animation and breakdance and made it flow seamlessly, impressing the judges enough to win them the grand prize. FunKtion wasn’t quite as synchronized or polished as EnCore, but their passion for dance was clear at every moment, and they get bonus points for ending their routine with jazz hands. Cadence gave the audience a completely different look with their contemporary number. I was impressed by their choreography, as often contemporary numbers start to feel like a mere series of leg extensions. This wasn’t the case for Cadence, whose dance really told a story. 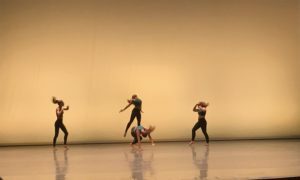 The emotion of the choreography was occasionally betrayed in some of the dancers’ faces, but for the most part, they sold their emotional piece, and it carried them to a third-place tie. The party didn’t end there. While the judges tallied the votes, members of Michigan Izzat, FunKtion, and Dance 2XS came onstage for a freestyle dance battle. FunKtion captivated with their popping and ultimately won the largest share of the applause, the cherry on top of their overall win. Michigan’s Best Dance Crew was one of the most fun on-campus events I’ve been to this year. If it’s renewed for another season, I’ll be back, and you should come, too.